FIVE 🎩🎩🎩🎩 hats from Britt! 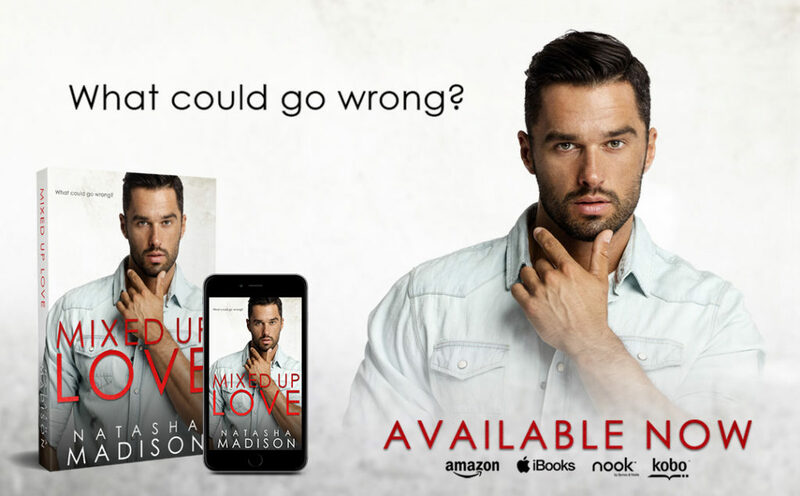 Cute, funny, and bringing allllllll the swoon, Natasha Madison stole my heart again with Mixed Up Love! Anyone who knows me will tell you how much I love Natasha Madison’s writing. Whether she’s making me cry like a baby or, as is the case with this book, making me giggle and happy sigh she never fails to write a story that completely captivates me. The sweet is off the charts in this book meaning I’m currently wishing I could just sit and hug this book forever. Sprinkled throughout with moments that me literally LOL’ing on top of all that swoony sweetness made this one unputdownable! Laney was adorable. She’s totally someone I’d want to be friends with IRL. She’s funny, she’s kind, and she’s a bit quirky. She had me cracking up more than once, along with her best friend. Hunter starts off the gruff broody man that, let’s be real we all drool over, but soon shows his sweet side by being so freaking romantic I thought my heart might explode. You want swoon? Hunter is your man. What’s that? You want heat with your swoon? You’re good boo, Hunter’s got that covered too. Now, he’s not total perfection, he’s a man after all. He does man things like being over protective and sticking his foot in his mouth occasionally so if you need a little bit of good grovel with your sweet. Bam! You got it! Ok, so yeah, I lied, he IS actually perfect.